If you should arrive home and notice that the pipes to your shower are leaking, you don’t have any hot water running to the bathroom, or your toilet is clogged, don’t sit around and wait for it to solve itself. 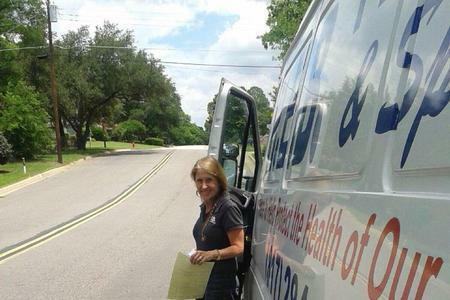 Call the professional plumbers at HEB Plumbing & Sprinkler-Kathlyn Smith. HEB Plumbing & Sprinkler is an experienced company that has provided homeowners, renters, and business owners with access to superior quality plumbing services. Located in Bedford, TX, our company has quickly and effectively solved hundreds of bathroom plumbing problems for customers located Bedford, TX, NE Tarrant County, Arlington, TX. All it takes is one small plumbing problem in your bathroom that can cause hundreds, if not thousands, of dollars in damage. For example, a small leak in the pipes leading to the bathroom sink or shower could cause extensive damage to the drywall in your bathroom and surrounding rooms. It can even cause health problems if it is left unresolved, as mold and mildew will start to grow and spread. 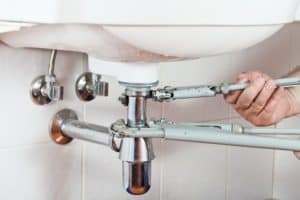 Seeking help from a licensed, experienced plumber will prevent bathroom plumbing problems from causing extensive damage to your home or putting your health at risk. Homeowners, renters, and business owners can turn to the experts at HEB Plumbing & Sprinkler when they experience problems with their bathroom plumbing. In addition to plumbing repair services, we also offer installation services, leak inspection services, and routine maintenance services.